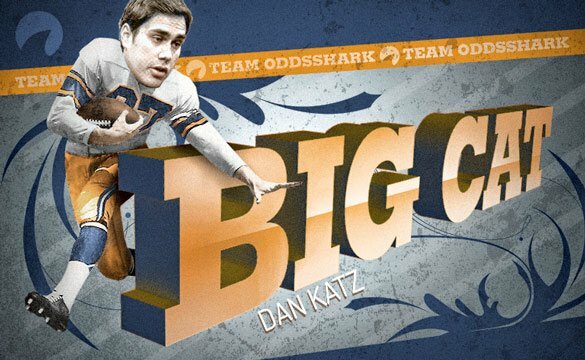 Writing under the handle Big Cat at Barstool Sports, Dan Katz is back again to lend his comic relief to Team OddsShark. A massive fan of all things Chicago, Dan recently moved to New York City with the rest of his Barstool colleagues. Alongside fellow Team OddsShark and Pardon My Take members PFT Commenter and Hank Lockwood, Katz relies on gut instincts that could likely be topped by a baby. Dan has quickly risen through the ranks of sports media due to his fun-loving attitude and ability to relate to professional athletes. You won’t regret following his popular Twitter account @BarstoolBigCat for all things asinine in the sports world.